Sally is the Head of Research at Tritax and is responsible for providing research and analysis on Big Box property market dynamics, as well as broader economic and sectorial trends, in order to assist with asset sourcing and assessment, strategy development and reporting. She has over 15 years’ experience as a research analyst specialising in industrial and logistics property. Prior to joining Tritax in May 2017, Sally was Head of Industrial Research at property consultancy Gerald Eve from 2005 to 2017, responsible producing regular reports on the UK industrial and logistics property market, delivering bespoke client research and speaking at conferences and seminars, and also previously worked at DTZ (now Cushman & Wakefield) and Goldman Sachs. Sally is a member of the Society of Property Researchers and the Investment Property Forum. Matthew Byrom is Managing Director of First Panattoni with responsibility for the identification of new business opportunities and company investment. Since forming First Industrial in 2009 (that merged with Panattoni Europe in 2017), Matthew has continued to build on his reputation for the delivery of major development projects throughout the UK. He has a creative & entrepreneurial approach to business with a wide range of commercial interests. Matthew is a member of the Royal Institute of Chartered Surveyors with a 1st Class degree in Estate Management. He has previously worked for Knight Frank, Wilson Bowden and ProLogis. Karin Cabili is the founder and CEO of Dropit shopping. Dropit removes the burden of shopping bags by creating a network effect between retailers in central shopping districts and shopping malls. Similar to the effect of the One-stop-Shops in the online market, Dropit offers the same experience in the offline world: unlimited deliveries from different shops consolidated into one convenient and affordable delivery. Julian Carey is Group Property Director of Stenprop. He was formerly CEO and founder of C2 Capital, which was acquired by Stenprop last year, having formed the company in joint venture with the Ellis Campbell Group in 2009. He subsequently acquired the Ellis Campbell stake in the business in 2015 at the same time as C2 Capital launched Industrials.co.uk, a joint venture with Morgan Stanley Real Estate Investment. Julian previously worked at Jones Lang LaSalle, first in their Auction and Private Investment Team, where he was involved in the sale of over 300 properties, including a large number of underwritten disposals, and, latterly, in LaSalle Investment Management, where he advised on the acquisition of over £150 million of investment purchases and £35 million of commercial developments. He also has extensive experience in property asset management, fund structuring, third party finance and cash flow analysis. Warren Cobb has worked in the various guises of DHL since 1996, and is now Director of Construction, UK & Ireland. He trained as a quantity surveyor, before branching into construction management, fitting out a building for the McGregor Cory (part of the Ocean Group) and then subsequently joining the logistics industry. Warren has been responsible for delivering various new builds and fit outs in European countries, including Spain, France, Portugal, Austria, Turkey, etc, Sweden being his favourite (I can’t think why!). His experience is such that the likes of large organisations employ him to carry out due diligence services on their own design teams. He now heads up a team of qualified surveyors, whose collective experience totals 100 years within the logistics industry. He has recently completed a £250m project to extend DHL’s gateway hub at East Midlands Airport, which now has the capacity to handle 65,000 parcels / packages per hour. His hobbies, when not with his two daughters, include cycling, motorcycling, gadgets and flying. Warren first flew solo in 1983 with the cadets, gained his pilot's license, instrument rating, night rating, etc, and now enjoys the escapism of flying above all the rushing around below him. Jeremy has 35 years experience in commercial property, with local authorities, major property companies and retail businesses. After 20 years in direct development, lastly with Lend Lease, Jeremy spent 15 years with John Lewis as Head of Retail Development and then Property Director. Jeremy left JL in January and is established a portfolio of roles including Property Director at Fenwick, and Non-Executive Director at Town Centre Securities plc. Dr Peter Damesick is an independent consultant specialising in real estate market analysis and strategy advice. He gained 26 years’ experience in property research with CBRE, the world’s largest real estate adviser, where he was successively Head of UK Research, EMEA Chief Economist and Chairman of EMEA Research. He worked extensively in advising clients on market trends and prospects and their strategic implications. Peter was awarded an Honorary Fellowship of the Society of Property Researchers in recognition of an outstanding contribution in the field of property research. He is a trustee of the RICS Research Trust and he Ethical Property Foundation. 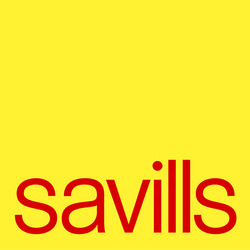 Sally has recently joined Savills to create an Industrial and Logistics Occupier Services function. Previously the UK and ROI Head of Real Estate at Amazon Operations from 2011 to 2017, she grew both the portfolio and the team tenfold over this period. Prior to this, Sally managed the distribution portfolio and various retail units at John Lewis Partnership, was a Director at Brixton plc and managed a variety of institutional, charitable and private client estates at previous employers King Sturge and Cluttons. She specialises in occupational advice, build to suit development and asset management and has 20 years' experience. In addition to undertaking a range of professional work on a nationwide basis, Sally has undertaken acquisition work on the Continent. Mark joined his local paper after leaving school, inspired to become a journalist by playing Waddington's Scoop aged 13. He has won numerous awards for his reporting. Most recently, his writing won a Royal Statistical Society award for excellence and was a finalist in the online journalism awards in San Francisco. His ambition is to try to chronicle the story of changing Britain, and for Arsenal to win some silverware. Before becoming BBC News home editor in 2004, Mark was home and social affairs editor at Channel Four News and political editor at Five News. He is married with four children. Amaury Gariel is Managing Director of Industrial & Logistics at CBRE. He structures, coordinates and directs the business line comprised of more than 350 people located in 28 countries in Europe, Middle East and Africa. The team advises manufacturers, 3PLs, retailers, developer and investors on all aspects of real estate lifecycle from strategic advisory to execution. By aligning talents with best business practice and sharing market insight, Amaury helps clients build competitive advantage for their business through performing real estate assets. In his role at CBRE, Amaury is developing additional services to increase service line scope which now includes Supply Chain Consulting, Labour Analytics and Incentives Negotiations. As a board member of Stowga, he represents CBRE’s interest for growing a strategic investment in the first B2B online warehouse marketplace for short term on demand space. Amaury holds a seat as Chairman of the Global Industrial & Logistics team where he coordinates business plans for the regions. He also leads in the organization and moderation of the “Power of Three” conference, where the most influential people in the industry gather each year. He has been awarded with the GCS Global Recognition Award, category Lease Management and Administration, Broker Collaboration Award. Amaury has additionally been recognised as consultant of the year and acknowledged for Excellence in Cross Selling and Collaboration at the EMEA Awards for the business line in 2015. Mike is responsible for managing the Industrial and Distribution asset management team, sourcing investment opportunities, and providing strategic advice to clients on the sector. Mike has a wealth of experience in the Industrial and Distribution real estate markets, having specialised in the sector since joining Aviva Investors in 2003. He is highly experienced in occupier, development and capital transactions. He has fund managed the Ashtenne Industrial Fund as well as a Central European Logistics development fund. Mike has a degree in surveying, is a member of the RICS, holds the IMC and is an FCA approved person. Mike is a regular contributor to Property Week, Co Star and IAS events. Andy Gulliford has been at SEGRO since 2004. He was appointed Chief Operating Officer in November 2011 with responsibility for the Group’s operational property teams both in the UK and Continental Europe. Andy’s role is to oversee the maximisation of total property return from the portfolio and is accountable for the Group’s relationship management of its 1,200 customers, leasing and asset management activities as well as the Group’s development programme. Andy was previously Managing Director, Continental Europe for two years. Prior to this he was Director of Corporate Acquisitions, a role in which he was responsible for major transactions in the UK. He went on to become Business Development Director, responsible for identifying opportunities for SEGRO in new markets and developing new customer relationships. Prior to joining SEGRO, Andy spent 19 years at Jones Lang LaSalle, where he was European Director for the Company’s industrial and logistics business. Liz Hamson has been the editor of Property Week since July 2014 and writes a weekly leader column as well as other features across the property sector. Kevin Harrington is a chartered surveyor working for Siemens’ real estate department, based in the UK. He is employed in a pan-EMEA Portfolio and Transaction Management role working on location and workplace strategy teams. Kevin has been working as an in-house CRE executive for over five years, prior to that having been an industrial and office agent in various European and Asia Pac markets. Kevin is an active member of both the Industrial Asset Management Council and CoreNet UK – chairing the CoreNet Uk’s One Big Day organising committee for 2017. Alan Holland is the Business Unit Director for SEGRO’s Greater London business. With a market value of over £3.2bn, the Greater London business includes over 369 customers. Historically concentrated in Park Royal and Heathrow, the portfolio has recently expanded its urban logistics and light industrial footprint in North and East London, with the London unit now spanning over 60 locations. SEGRO is a UK Real Estate Investment Trust (REIT), and a leading owner, manager and developer of modern warehouses and light industrial property. It owns or manages over six million square metres of space valued at approximately £7 billion serving customers from a wide range of industry sectors. Its properties are located in and around major cities and at key transportation hubs in the UK and in nine other European countries. Major retail and ecommerce customers for SEGRO include John Lewis, Amazon, Ocado and Yoox. 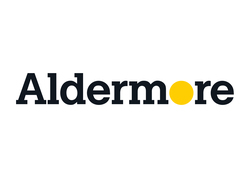 Alan is a Chartered Surveyor with over 18 years’ real estate experience in the industrial and logistics markets. Michael founded Verdion in 2010 and has over 20 years’ experience in the industrial and logistics property sector throughout the UK and continental Europe. Verdion is a specialist developer, investor and asset manager of logistics property with offices in the UK, Germany and Sweden. Over the last 5 years the company has created a €1 billion Pan-European logistics portfolio, investing, building and leasing over 6 million sq ft of logistics space. Verdion’s client occupiers are major manufacturers, retailers and 3PLs including Siemens, Amazon, DHL, Bertelsmann, Nagel Group, CEVA and Dachser. James is ING’s Chief International Economist, responsible for the bank’s coverage of the major developed market economies. He has been with ING for 19 years during which time he and his team have won numerous awards for forecasting accuracy. James regularly markets ING’s economic views to clients around the world and is frequently quoted in the global media. He is a graduate of Durham University. David is a Head of Legal at Ocado whose areas of practice are real estate, construction and engineering law. During his seven years at the business, he and his team have helped to quadruple the amount of sites owned and operated by Ocado and assisted with the fitting out of those properties with kit ranging from highly sophisticated mechanical handling equipment to state of the art proprietary technology. Out of the office, David is a motoring enthusiast and is still hopeful that he will one day find the time to refresh his private pilot's licence. Paul Lee is a UK Partner and the Global Head of Research for the technology, media, and telecommunications (TMT) industry at Deloitte. In his global role, Paul has authored over 80 TMT reports including Deloitte’s 16th annual Predictions for the Technology, Media and Telecommunications series. In 2016 Predictions launched in over 50 countries and its points of view are featured in broadcast, online, and published media around the globe. Paul also leads the Deloitte Global Mobile Consumer Survey, now in its sixth year, which tracks usage of mobile around the world, based on a 53,000 user survey fielded in 31 countries. Paul comments regularly on the TV market, and has been invited to author the companion reports for the Royal Television Society’s Cambridge Conference, the IBC Leaders’ Summit, and the Guardian International Television Festival. He is a frequent commentator on television, radio, online, and press. Paul has published 32 columns in the Financial Times, specializing in analysis of current trends in the TMT sector from a numerical perspective. He is a frequent speaker at industry and closed door conferences and was on the organizing committees of the Royal Television Society’s Cambridge and London conferences. In addition to running the TMT research team globally, Paul manages the industry research team for Deloitte UK. He has written five books, including Convergence Conversations and Digital Dilemmas. David Legge is a co-founder of Legge Consulting advising clients on all stages of development, regeneration, property and construction related projects. Formerly, he was one of the UK’s senior executives at DB Schenker – a German Government owned infrastructure provider - where he was responsible for managing a £300Million a year business and leading over 800 multi-disciplinary staff. Jonas Lencer is a director of Stirling Prize winning architecture practice dRMM. He oversees major projects including; Charlton WorkStack, a stacked workspace that supports creative, light industrial uses on a compact site; Faraday House, a bold residential building within the Battersea Power Station development; New approaches to master planning Industrial Development, a Savills research paper proposing new ways of integrating logistic and industrial buildings alongside housing, retail and community space. With a focus on prefabrication and engineered timber, Jonas specialises in combining design concepts with innovative construction techniques. He lectures internationally on dRMM’s pioneering work, is an assessor for the University of Brighton, and a judge at the 2016 Malaysian Wood Awards. Kevin is a Director in the Savills Research team where he heads up research capability into industrial and logistics markets. Kevin co-ordinates market data collection across the UK and the periodical Big Shed Briefing reports. He specialises in topic and trend based research by applying “real life” issues to logistics and industrial property. Key examples being a landmark study into the real estate implications of the growing waste management and recycling industry and the landmark Warehouse of the Future Report. 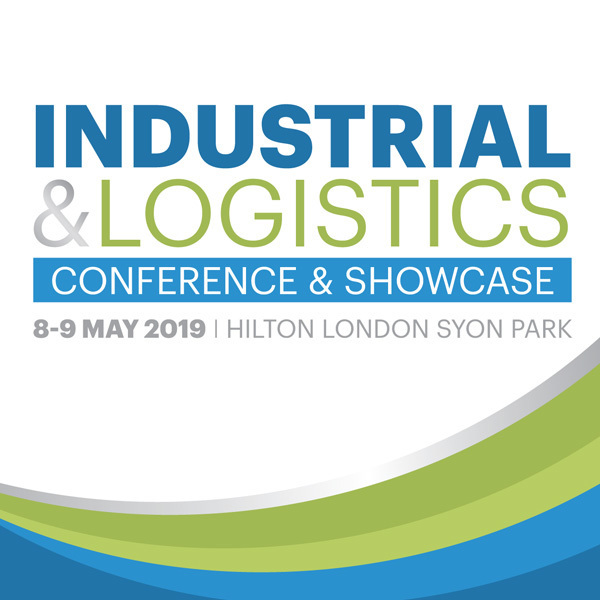 Kevin regularly presents at industry events and has appeared at The Estates Gazette European Distribution Summit, the Retail Week Supply Chain Summit, Warehousing Futures and other events for the IPF, IPD and the CPD Foundation. Kevin is a member of Industrial Agents Society, CILT, IPF and Past Chair of the Society of Property Researchers. A Fellow of the Chartered Institute of Logistics and Transport and Head Judge for the CILT Annual Awards for Warehouse Design and Operations; he is Strategic Advisor to Leading Blue Chip Companies in Supply Chain and Logistics, trained as a Mechanical Engineer and was General Manager with BT Rolatruc (Now Toyota Industrial) responsible for all automated solutions. Bernard has been responsible for numerous developments of complex automated handling systems and resolving Supply Chain issues particularly in Industrial Manufacturing, he is regarded as a true pioneer in the design and delivery of Automated Storage and Advanced Handing Systems in Flexible Manufacturing which include JCB, Rolls-Royce Aerospace, Perkins Engines, Rank Xerox, ICI, Sony, 3M, Black and Decker, Mobile Oil, TI Glow Worm and numerous others in the UK and Scandinavia. His very broad experience includes Managing Director of Hako Machines UK, the design and development of a new product range which has now grown to thirty per cent of the total Group World Turnover, his Automated Guided Vehicle Experience was put to work in design of a Cleaning Autonomous Guided Vehicle in conjunction with British Rail. Marley Morris is a senior research fellow at the Institute for Public Policy Research (IPPR), where he currently leads the institute’s work on Brexit. He specialises in migration policy and has published research on freedom of movement and the labour market, international students, and post-Brexit immigration policy. Marley is a regular contributor to the UK’s policy debates on migration, and his research has been widely covered in the national and international press, including the Financial Times, Telegraph, Guardian, Observer, BBC, Channel 4 News, Libération, and Der Spiegel. Bridget is a Director in the industrial and Logistics team with a focus on urban logistics in London and the South East. She advises occupiers, developers, funds and property companies on acquisitions, disposals, development and other issues relating to their exposure and investment in the industrial property market. She is a thought-leader in the co-existence of logistics and other uses including residential. Raimund is a corporate real estate professional with 25 years’ experience in all sectors of real estate. Starting his career 1991 he has worked for a “medium sized enterprise” with a portfolio across all asset classes, he has worked 3-year for Union Investment and continued with 14 years’ tenure at Amazon Europe. At the cutting-edge ecommerce giant, he has been part of an amazing success story witnessing a growth from 600 million USD net sales to around 130 billion USD in 2016, building the most advances ecommerce logistic network for Europe. As Real Estate Director and member of the European Leadership team Raimund has built and headed the Amazon EMEA real estate team being involved in the strategic network planning and design of the European Fulfillment Network. He has been a significant contributor of the new generation of European Fulfilment Centers. He and his team have been in charge for the search, acquisition and implementation of 34 FC’s, and 25 smaller hubs for the transportation and the prime now network totaling 3 million + square meter additional warehouse space in Europe. In June 2016 Raimund has left Amazon taking a 15month sabbatical including an around the world trip together with selected consultancy mandates. As keynote speaker has given talks about digitalization and the impact of exponential growth. In September 2017, he has started as Vice President Corporate Real Estate for the number one European ecommerce Fashion platform Zalando SE Berlin. Bill manages LGIM Real Assets’ business space research function, covering offices and industrial. He has responsibility for the formation of house views for these sectors and inputs into fund strategy. At a fund level, the Research team contributes to the analysis of fund performance and advising on the impact of strategic and asset activity on prospective fund performance. Bill joined LGP in October 2012, having spent seven years at Jones Lang LaSalle where he was EMEA head of office market research. Prior to Jones Lang LaSalle Bill worked for five years at Estates Gazette Group. Bill is chairman of the British Council for Offices research committee and has a first class degree in Geography from Lancaster University. Richard joined St. Modwen in 2006 as Construction Manager and promoted to Build Director in 2015. Recently appointed as Construction Director. Responsible for the Company’s build programme. Key focus is to ensure the smooth transition from development to contractor appointment; overseeing the management of the “Post Contract” process, to the desired conclusion. This requires close liaison with the development team during the feasibility stage of any development, commenting upon design, build-ability and out turn costs. Integral to the management of the design team he also ensures a scheme when entered for planning meets affordability criteria. Prior to joining St. Modwen, Richard worked for a number of national and medium sized contractors including Balfour Beatty (formerly Clarke Construction), Hall & Tawse, Bovis Lend Lease and Skanska. His experience has included traditional, design and build, construction management, term and PFI contracts. The value of these schemes ranges from £1m to £350m, and includes the delivery of a wide variety of commercial and residential projects including the £350m PFI scheme in Derby, the £30m Nottingham University Jubilee campus and the £25m aquarium scheme in Hull. Phil has over 25 years’ experience in real estate, starting his career in 1990 in the Industrial Agency and Development team of King Sturge. He joined SEGRO in 1995 and has held a variety of appointments including Head of Leasing & Marketing, Head of New Business and Business Unit Director for London Markets. Phil was appointed Chief Investment Officer of SEGRO in November 2011, with responsibility for the Group’s investment strategy and its implementation, involving capital allocation across the business and managing all investment acquisitions and disposals. During his time at SEGRO, Phil has been instrumental in a number of key transactions for the Group. Phil joined the Board as an Executive Director on 1 May 2013. Steve is a partner in Gerald Eve’s Research department and leads a team of research professionals who cover all aspects of UK commercial property. He has experience of all forms of UK commercial property research and oversees the production of the firm’s research publications. As well as a new syndicated report focused on the Multi-Let industrial market, publications he overseas include Prime Logistics, the definitive guide to the UK’s distribution property market and London Markets, a detailed analysis of London’s office sub-markets. He is a regular market commentator on UK commercial property performance and advises several domestic and foreign investors on investment strategies and underlying market conditions. Paul Tebbit, is a member of BlackRock's Real Estate team. He is the portfolio manager of the £3.5bn BlackRock UK Property Fund, responsible for the strategy, portfolio management, and performance of the Fund. Prior to joining BlackRock in 2011, Mr. Tebbit was New Business Director at Telereal Trillium (part of the William Pears group), responsible for sourcing and transacting investment opportunities, raising finance and asset management. Mr. Tebbit earned his LLB degree at Exeter University and practiced law until 2006. Cited as ‘The world’s most influential teenager’ by the Times, Ben will talk about how today’s teenagers and tomorrow’s purse-holders engage with brands and what role social and digital play in their lifestyle choices. Also, are teenagers of today data-savvy and how much and at what cost will they be willing to share their data in the future? For forward-focused businesses, Ben has the key to unlock the secrets of the next generation of consumers. Duncan has 20 years of commercial real estate experience. Until July 2017 Duncan was a Main Board Director at Helical plc, a FTSE listed investment and development company. At Helical, Duncan was responsible for the investment strategy covering a portfolio of retail, office, retirement living and logistics properties. Whilst at Helical he was Managing Director of Renaissance Villages, a senior living company. Helical’s portfolio was consistently within the top 5% of IPD, the UK real estate’s performance benchmark and in the top 1% over 20 years. Duncan co-founded Skyports in 2018 to provide infrastructure for cargo and passenger carrying drones in urban locations. Chris Wallis leads the Business Development team at Kingspan Insulated Panels, UK. A construction products and wider industry specialist, Chris has 30 years’ experience in building envelope solutions. Chris has been with Kingspan for almost 15 years working on major projects UK for some of world’s largest brands in terms of Asset Owners, Property Funds, Property Developers, Property Agents, Design Teams, Main Contractors, Structural Fabricators & External Envelope Contractors. With a passion for sustainability Chris is brings detailed knowledge to the market to maximise lifetime building performance. Through a holistic approach to optimising structures built with Kingspan Insulated Panel Chris advises on aesthetics and visual impact, build speed and site efficiency, daylighting, energy efficiency and renewable energy and warranted system protection, to ensure the all-round performance of the building. Peter has over 30 years’ experience in international transportation, logistics and supply chain management; and is recognised as a principal of authority in global supply chains and logistics based on achievements at Director level with some of the world’s leading global logistics providers. A Graduate of the Institute of Export and Member of the Chartered Institute of Logistics and Transport, Peter’s career started in the export shipping department of Courtaulds plc, before joining his family's freight forwarding company, D H Ward (Shipping) Ltd, where he became Managing Director. In 1994 he masterminded the Company's merger with American-owned Fritz Companies, which under his leadership became a top-five forwarder in Europe prior to acquisition by UPS in 2001. More recently Peter was Director Europe of P&O Nedlloyd Logistics, and Commercial Director at DP World London Gateway prior to joining UKWA as Chief Executive in January 2015. Peter has significant practical experience of international process design and network optimisation throughout Europe, Asia and North America; designing and delivering complex supply chain solutions in different logistics and client organisations worldwide, with an impressive history of multiple client cost and service benefits across various industry sectors. Patrick Weiss is the Property Acquisitions Manager for Deliveroo, scaling and growing the property portfolio for Deliveroo's new concept, Editions. Deliveroo Editions has been taking up light industrial units across major cities in the U.K. where they prepare and distribute food to a 2.5 km radius with up to 18 restaurant concepts. Patrick looks after the UK and IRE markets. Deliveroo Was founded 5 years ago, today operates across 12 countries, 239 Cities and achieved a valuation of more than $2bn (£1.5bn) after a further $385m in new funds in September 2017. The aim of the business is to bring the world’s best local restaurants directly everyone’s home or office. The company’s ability to successfully select sites is down to its incredible data set from having more worldwide users on its core platform. Paul Weston is Senior Vice President and Head of London and South East markets at Prologis UK. He is a member of the Prologis UK Executive Committee and has over 25 years’ experience in the industrial and distribution market. Passionate about providing the best buildings in the best locations and supporting customers to fulfil their business objectives, Paul is well aware of the challenges and opportunities surrounding labour supply in the industrial logistics market. With one finger firmly on the industry pulse, Paul can give an insight into a sector facing an image problem when it comes to attracting and retaining new talent. Giles Williams is a Chartered Surveyor and has worked in the UPS Real Estate Department for more than 20 years, before which he worked in the property agency and development sectors. Originally covering UK & Ireland he has gradually become responsible for a wider geographical area until he was appointed UPS Director of Real Estate for Europe Middle East & Africa in 2013. This UPS Region comprises approximately 550 facilities with a floor area of approximately 25 mill sqft and a mix of uses including local delivery centres, ground and air parcel sorting hub facilities and big box warehouses. In 2015 UPS announced a five year programme to expand their already extensive European facilities network with capital expenditures of $2.0 Billion. This capital expenditure is enabling new facility openings and the provision of automated conveyor sorting systems in a number of Western European countries and also in developing markets in Eastern Europe, Turkey and Middle East. Iain Willox is Head of Business Development for the Advanced Materials and Manufacturing Sector. He leads a team of staff who assist manufacturers in Wales to grow or attract manufacturers to locate in Wales. Key sectors include the Automotive, Aerospace and Defence sector with companies such as Ford, Airbus, British Airways, GE, TATA Steel and Toyota within the portfolio. Previous roles have included Director of Entrepreneurship in Wales leading to an increase in the number of start-ups, increased survival rates of SME’s and an increase in the disposition of the population to set up businesses in Wales.